The Grateful Crane Ensemble will be hosting a community screening of its 2014 Goodwill Tour to Japan DVD on Saturday, Oct. 4, from 2 to 4 p.m. at the Nishi Hongwanji Los Angeles Betsuin in Little Tokyo. 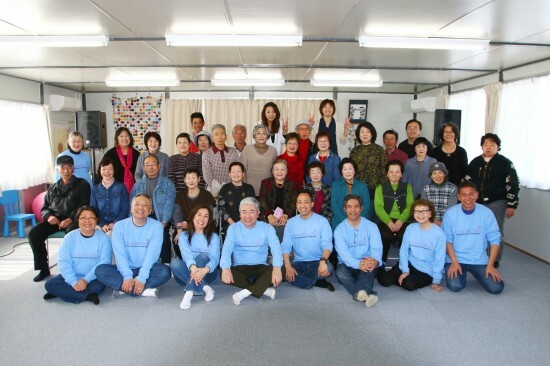 Supported by grants and donations from the Japanese American community, the 10-day tour in April featured the singing of nostalgic and favorite Japanese American songs with the goal of lifting the spirits of tsunami survivors in Tohoku and atomic bomb survivors in Hiroshima. Along with the screening, tour members will sing some of the songs they sang in Japan, and will report back about the people they met, the incredible scenes they saw, and the overall experience of performing in the land of their ancestors. The DVD, produced by local photographer Darrell Miho, captures the places, sites and the emotional reactions of the people that Grateful Crane met in the Miyagi Prefecture towns of Ishinomaki, Minamisanriku and Tome as well as in Hiroshima. Tour members performing at the screening will include Jason Fong, Haruye Ioka, Keiko Kawashima, Kurt Kuniyoshi, Mary Kageyama Nomura and Grateful Crane’s musical director, Scott Nagatani. The event is free and open to the public. Parking is available on-site. Nishi Hongwanji is located at 815 E. First St. The screening will take place downstairs in Lotus Rooms A, B and C. Seating is limited. To RSVP, call the Grateful Crane hotline at (310) 995-5841.